With ever changing circumstances in UK agriculture, it is often a good idea to keep your options open. When the financial climate allows, a new spreader or slurry tanker is a great investment. However with the restrictions placed on how and when we farm, the hire option can also be a great alternative. Obviously buying new or used farm machinery is not always the ideal solution for everybody. 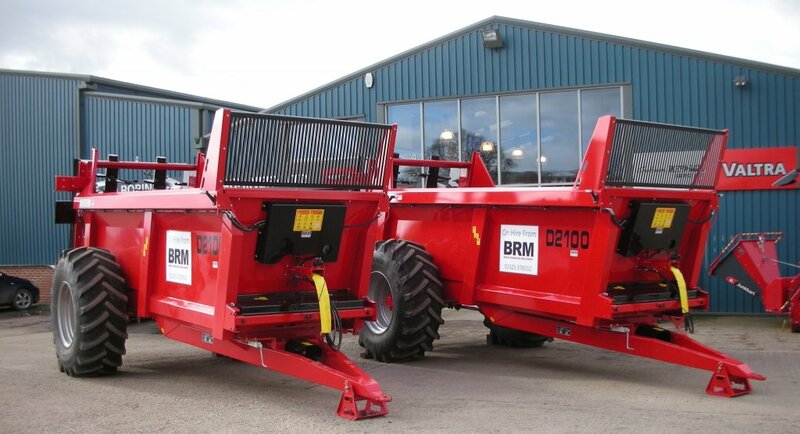 Therefore Brian Robinson Machinery (BRM) maintains a diverse fleet of farm equipment for hire. 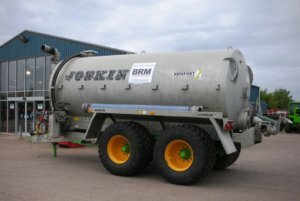 Our Joskin and Richard Western muck spreaders and our and Joskin slurry tanker are well maintained and competitively priced. Here at BRM, we are usually equipped to assist you across a number of different areas. Where possible we will try to provide whatever forestry and farm machinery you may need. In addition to our permanent hire fleet we often have tractors, telehandlers, balers, mowers, chippers, log trailers, farm trailers, toppers, tedders and rakes available. BRM is a large independent dealership and our single location at East Cowton. Consequently, this means that all our used machinery is here in one place. If you find a used machine for sale here, on our website it will probably be available to hire. Please don’t hesitate to get in touch to see if our current agricultural machinery stock can be of service to you. All agricultural equipment and forestry machinery in our hire fleet is rigorously maintained to deliver first-class performance. This ensures that the very latest industry standards and safety requiremen ts are consistently maintained. Here at BRM, whilst we will always have our muck spreaders and slurry tanker fleet, our agricultural machinery stock regularly changes. As a result our machines available for hire will also change. This is why you should call us today on 01325 378552 to enquire. Please call us today to discuss your requirements. We’ll be happy to provide a competitive price and availability. Your booking for the farm equipment or industrial machinery hire can then be provisionally booked. Payment is not expected in advance, so you can always cancel if the circumstances change. And as we know in farming, they often do!